Gas in dogs can really be a stinker of an issue to deal with. 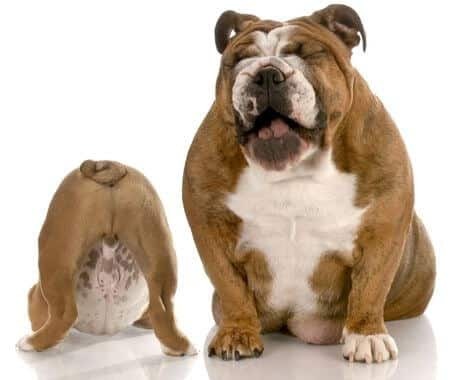 We love our pets… but, at times their flatulence can really mess up the ambiance of our home (or even worse, the vehicle). Though there may be times when an illness is at the heart of this issue, gas in dogs is likely the results from either poor quality diets, digestive disorders, or a combination of both. Here at Nzymes, we are always recommending premium quality pet foods since we are constantly dealing with the negative effects of the poorer quality big-name-brand foods that are so common on the shelves of all the larger discount stores and grocery chains. The truth is, ALL processed pet foods, regardless of quality, have their enzymes destroyed through the heat of processing.This is why it is so important to supplement your pet with a Dietary Enzyme product like our Antioxidant Treats for Pets or Granules, to aid with your pet’s digestive processes, and other critical metabolic functions. Diets that are void of enzymes give rise to incidents of Gas and other digestive disruptions. For optimum digestive health, include Bac-Pak Plus in your pet’s daily diet. Bac-Pak Plus provides both digestive enzymes and direct fed microbial’s (probiotics). For mere pennies per day, you can improve your pet’s digestion and help safeguard his digestive tract with billions of friendly bacterial flora.